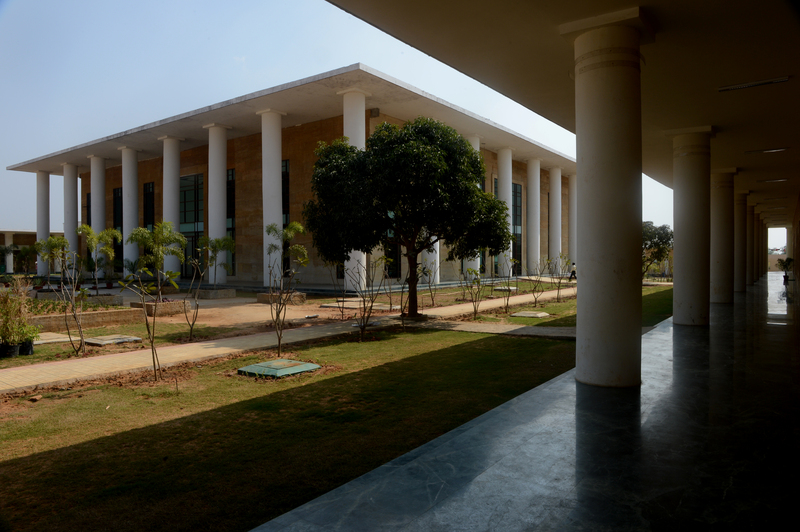 After prolonged deliberations the Odisha Assembly recently passed the Birla Global University Bill by a voice vote. The BGU Bill was piloted by the Higher Education Minister, Dr P K Panigrahi which got overwhelming support in the Assembly. The Birla Global University (BGU) is sponsored by B K Birla Group which anchors many educational institutions, charity and has business interests in cement, tyres, rayon, textile, tea gardens and- plantations etc. The Birla Family under the guidance of Late G D Birla has always taken keen interest in the education sector and philanthropy over the past many decades. Their main contribution in education is the setting of two prestigious universities in technology education viz. BITS, Pilani and BIT, Ranchi. BITS, Pilani is known worldwide for producing game changer entrepreneurs, scientists, technologists and engineers. The Birla Family is also running more than 100 public schools across the country which are well known for their value based education. BIMTECH, a leading autonomous B’school offering PGDM Programmes at Greater Noida and Bhubaneswar Campus has taken initiative in 2009 for setting-up a state-of-art Campus at Odisha for catering to the skill needs of Eastern India comprising Odisha, Jharkhand, Bihar, West Bengal and North-Eastern states like Assam, Tripura, Manipur, Arunachal Pradesh, Nagaland, Mizoram and Meghalaya. Endowed with nature’s bounty and with an abundance of mineral resources, these 11 states are now well poised to participate in the much-talked about growth story of India. Since the Birla Family has deep roots in Eastern India particularly, Kolkata, West Bengal, Late Dr (Smt) Sarala Birla and Syt B K Birla, envisioned that the BGU should be set up at Bhubaneswar, the hub of engineering and management education in the Eastern India. The Odisha Government allotted 30 acres premium land in the Gothapatna Institutional Area of Bhubaneswar to the BIMTECH in 2009. It has several other educational institutions like IIIT, IMI, NALCO, R&D Centre, Software Technology Park etc. The Birla Family engaged Mr Hafeez Contractor, a leading architect of Mumbai to prepare the architectural plans for the Birla Global University. After a nationwide hunt, M/s Ahluwalia Contractors was chosen for the civil works. A dozen other contractors were also engaged for providing various kinds of services like, interiors, plumbing, electrical, air-conditioning and networking etc. Smt Jayashree Mohta, Chairman, Birla Academy of Arts and Culture, Kolkata and Chairperson, Bord of Governors, BIMTECH has expressed her deep gratitude to Mr Navin Patnaik, Hon’ble CM, Odisha for fulfilling the desire of her parents late Dr (Smt) Sarala Birla and Syt BK Birla by granting permission for setting up the Birla Global University. Dr Harivansh Chaturvedi, Director, BIMTECH, Greater Noida has said that the efforts are being made to flag-off the GBU in July 2016 since 30 acres’ campus with all requisite facilities like academic buildings, administrative building, laboratories, library, hostel, mess, sports and games, faculty and staff accommodation is ready. As a precursor to the BGU, BIMTECH and Birla Global Institute are running a few courses in management and media. The Birla Global University will be developed in two phases. In the first phase, an investment of Rs.150 crore has already been made in infrastructure development. In the first phase starting from July/August, 2016, graduate and post-graduate course in management, economics, marine sciences, commerce, law, education, liberal and performing arts will be offered. The second phase will be started by 2020 when courses in technology, engineering and sustainability will be added in course offering. For the second phase, an investment of Rs.350 crore will be made. In all, a total Rs.500 crore. The Birla Family has decided to deepen their investments in the Birla Global University. Keeping in mind the dire need of globalising Indian higher education institutions, BGU will capitalize on the existing strong network of BIMTECH’s partnership with foreign universities and B’schools. Foreign faculty will be invited to join BGU on visiting and contractual assignment basis. Students of BGU will get opportunity to go abroad under students exchange programme. In due course, the Birla Global University is expected to grow up to a formidable centre of higher studies! Regarding the future of the existing Bhubaneswar Campus of BIMTECH which is currently running AICTE’s approved PGDM Programme, Dr B K Das, Advisor has said that it will be merged into the Birla Global University after launching of the new University. The existing batches of PGDM Programme will be allowed to be completed as per AICTE’s approval.